So I'm not really into sports, but I do love watching live sporting events. Erik on the other hand could watch sports all damn day, so needless to say when Toyota invited us for a fabulous staycation coupled with Spring Training we were definitely in. Now for those of you who don't live in Arizona, every spring baseball teams from all over the country converge on the greater Phoenix area to play off season games with each other as part of their training. 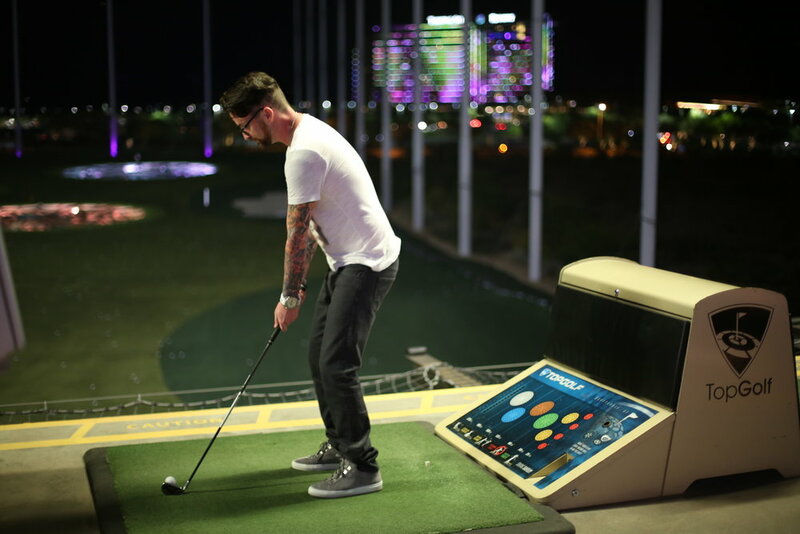 A mix of twelve writers, influencers and bloggers from across the southwest were invited to attend a Spring Training theme event hosted by Toyota. We were each provided with a new Toyota and accommodations at Talking Stick Resort. We chose the Toyota Highlander and have to say it was extremely spacious and comfortably fit 5 passengers with room to spare. The best part of this three day getaway was that we got to meet so many wonderful new friends. It was so nice to participate in such a well planned weekend. We even had time to just relax and decompress by the pool, but I love to show people around so we took our new friends out to experience some of the delicious restaurants Scottsdale offers: our first dinner was hosted by Toyota at Orange Sky for a traditional steak dinner, we also enjoyed Asian Fusion from Sumo Maya and Italian from Pomo Pizzaria. While we were friendly with all the event's attendees, our squad for the weekend was Erik, myself, Cynthia Sassi, Rossana Vanoni and Douglas Lagos. We had so much fun, our seats at the two games we attended were spectacular....we really got into it! We rarely make it out to Spring Training games, so this was a real treat for us. Besides, who doesn't love a cold cocktail with good friends on a hot day while watching great games? Exactly! I have to add that the accommodations at Talking Stick Resort were excellent! The rooms were well-appointed and won me over with beautiful unobstructed views of Phoenix. A really nice touch was how they wrapped up the weekend, Top Golf. Granted, I would never have thought to go there on my own, but we had a great time! 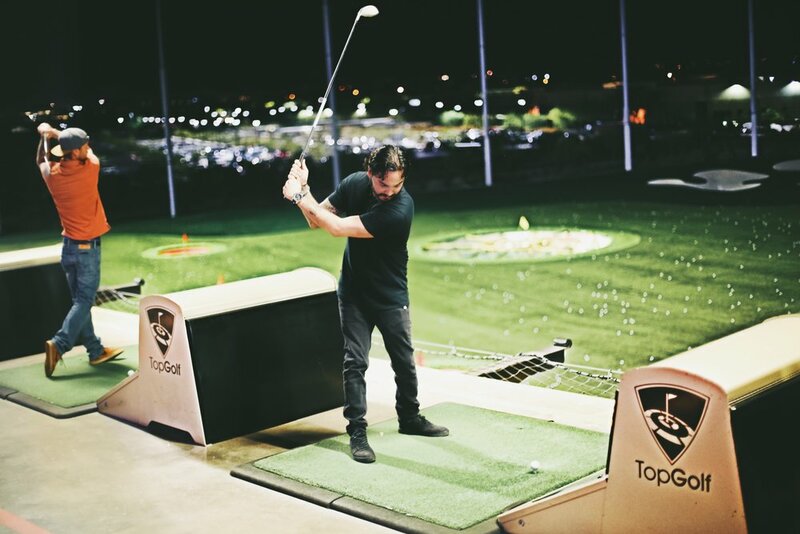 The Toyota team rented out several adjacent spaces and we all had some drinks, some food and got to work with a pro to perfect our swing...yes I am left-handed which is why it looks like I'm backwards LOL!